I love comics and love to pick the brain of those who create them. Please rate and review! Comments, questions, and suggestions welcome. 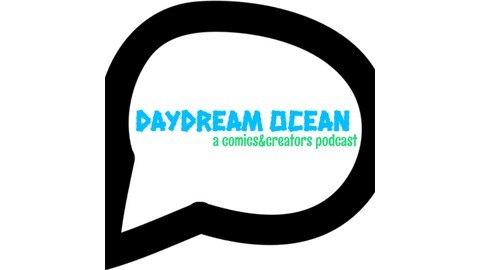 You can leave them here or email me: daydreamoceanpodcast at gmail dot com. 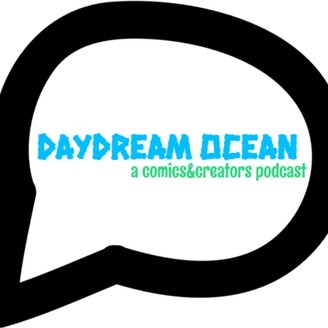 This is Episode 2 with Jamie Tanner of the Day Dream Ocean Podcast. Jamie Tanner @ www.jamietanner.com Created and Produced by Daniel H Gill Edited by Adriane Kuzminski & Daniel H Gill Music by (in order): Python by Rolemusic http://freemusicarchive.org/music/Rolemusic/Pop_Singles_Compilation_2014/03_rolemusic_-_python Indyair by Springtide http://freemusicarchive.org/music/springtide/Just_Before_April/Indyair-springtide 5 by The Red Thread http://freemusicarchive.org/music/The_Red_Thread/After_The_Last/5_1658 City by the Sea by The Deafening Colors http://freemusicarchive.org/music/The_Deafening_Colors/Live_on_WFMUs_Surface_Noise_with_Joe_McGasko_1252016/Deafening_Colors_-_04_-_City_By_The_Sea Thanks for listening!